ROTHESAY (AUS) (Bay 2006-Stud 2011). 4 wins-1 at 2, Queensland Guineas, Gr.2. Sire of 302 rnrs, 174 wnrs, inc. SW Havasay (Clarence River JC Ramornie H., L), In His Stride, Too Good to Refuse, SP Over Exposure, Scottish Rogue and of Guntantes, Macewen, Trail of Glory, Bring it Home Pop, Chapter and Verse, Beloso, Kit de Luca, Prioritise, Jacksay - Fionesay (H.K. ), Oberland, Shadow Lawn, Shotacross the Bow, Gem of Scotland, Say I Cee You, etc. Evalina (f. by I Am Invincible). 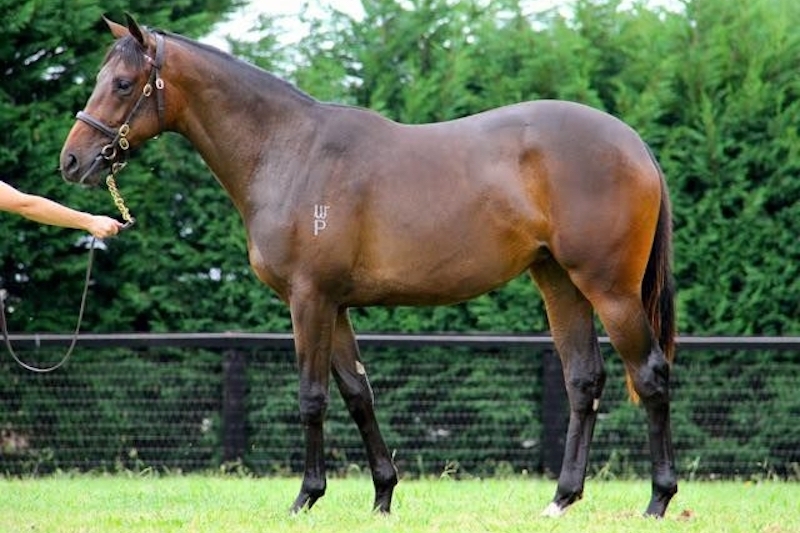 2 wins at 1150m, 1200m, A$138,085, in 2018-19, ATC Casino Prince at Vinery H., 2d ATC Reginald Allen H., L, 2019 Membership H., Newcastle JC Polytrack Provincial Championship Qualifier. Tahnee Tiara (f. by Commands). 7 wins from 1100m to 1700m, A$146,060, to 2018-19, 2d MVRC Ranvet Travis Harrison H., SAJC Shane Miller's 60th Birthday H., Schweppes H., Medallion Homes H., 3d SAJC Steffo's Bucks H.
Fun Manager (g. by Teofilo). Winner at 1350m in Aust, 2d HKJC Yau Tong H., 3d HKJC Los Angeles H., Peng Chau H.
Prince de Galles - Vigor Delight (H.K.) (Anabaa). 4 wins from 1650m to 1900m, A$92,250, HK$3,773,000, HKJC Cornflower H., AJC Lawn Party H., Tab.com.au H., HKJC French Racing H., 2d HKJC Queen Mother Memorial Cup, L, Shing Ping H., Hibiscus H., Lok Fu H., HKU Alumni Challenge Cup, 3d STC Tulloch S., Gr.2, AJC Randwick Betting Auditorium H., HKJC New York H., Indian Recreation Club H., CUHK Alumni Cup. WORTHY CAUSE (Choisir). 5 wins-1 at 2-from 1000m to 1800m, A$484,650, GCTC Gunsynd Classic, Gr.3, VRC Paris Lane S., L, BRC Sprite H., Teece Air-Con H., 2d SCTC Ascot H., L, BRC Silky Smooth & Speedy H., Rawgroup Hospitality 2YO H., Sky Racing 2YO H., 3d MRC Eclipse S., Gr.3, GCTC Vo Rogue P., Gr.3, Sunshine Coast Guineas, Gr.3, BRC Bernborough H., L, 4th MRC Moonga S., Gr.3, GCTC Prime Minister's Cup, L.
Octane Flyer (Statue of Liberty). 2 wins at 2, A$119,650, BRC Gallipoli Medical Research Foundation 2YO H., Jye Cooper Group 2YO H., 2d ATC Skyline S., Gr.3, BRC Mastec 2YO H., Burrandowan Picnic Race Club H., CNW H., 3d BRC Winning Edge Promotional Gear 2YO H., 4th Qld Tatt's RC Breakfast Creek Hotel S., L.
Tahnee Topaz. 4 wins. See above. Tranquera. 2 wins at 1200m, 1600m, A$110,295, MRC (Mornington) Knight FM H., 2d VRC Howitt & Kent-Kiernan H., MRC Charlie Agius H., Sportingbet H., The Age H., TMB Printing H. Producer. PASSING SHOT (Swiss Ace). 11 wins-1 at 2-to 1400m, NZ$409,420, A$3,440, to 2018-19, ARC Mr Tiz Trophy, Gr.3, Hawkes Bay Finance Sprint H., L, 2d Wellington Guineas, Gr.2, ARC Bonecrusher S., Gr.3, CJC Stewards H., Gr.3, 3d Cambridge Breeders' S., Gr.3. Served by Toronado. Date of last service, 19.12.2018.